The EURUSD failed to stay above 1.1358: the price bounced and headed lower. 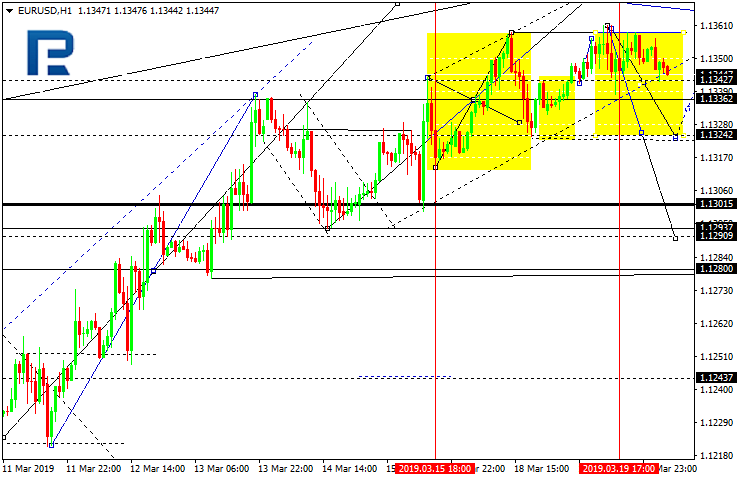 This may lead to a fall towards 1.1324, and then a rise to 1.1340, and a further rise to 1.1380. 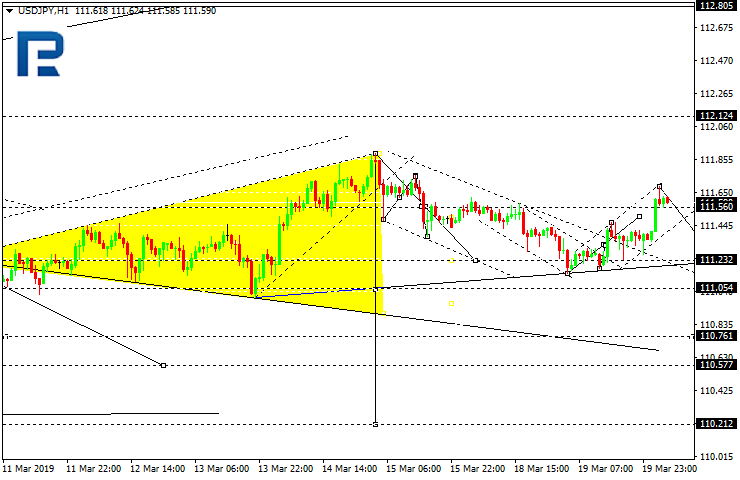 In case the lower boundary gets broken out, the price may fall to the local target of 1.1280. 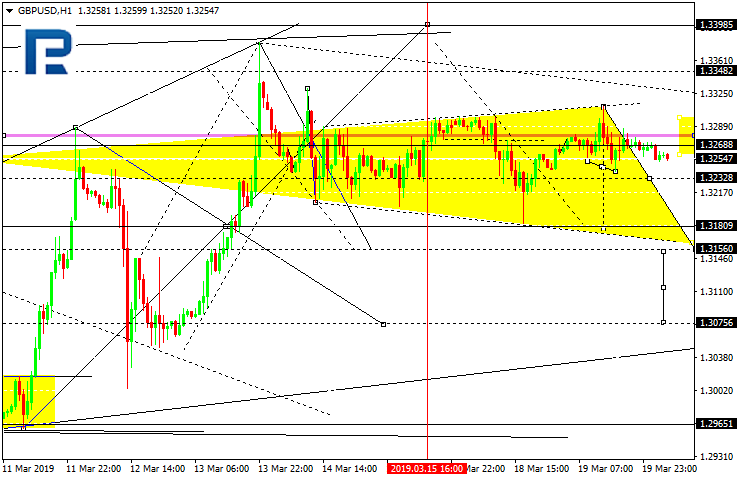 The GBPUSD bounced off the upper triangle boundary and may now fall to 1.3156. 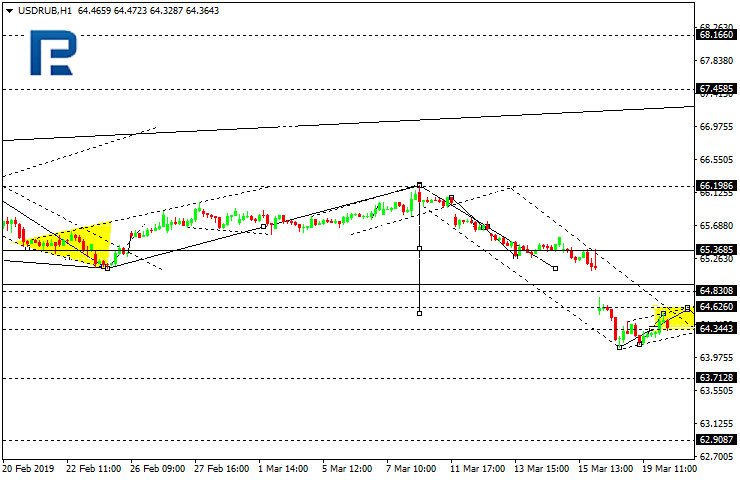 The pair may then slide up to 1.3390, but then again fall following the trend to reach the first target at 1.3070. 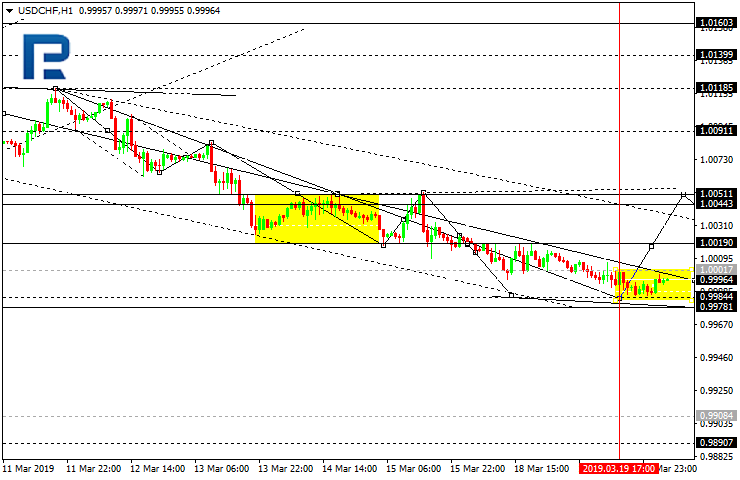 The USDCHF hit the local downtrend target at 0.9984. Today, it may start consolidating at its lows. The price may then either go up towards $1.0051, or hit the lower boundary at 0.9978. The first trend-following target is meanwhile at 1.0160. The USDJPY has nearly completed its primary falling move and even finished the correction. Today, the correction channel may get hit at 111.05, and then, after breaking it out, the price may head towards 100.76, its local target. The Aussie has broken out the consolidation range top down against the dollar, and the first falling move is already over. 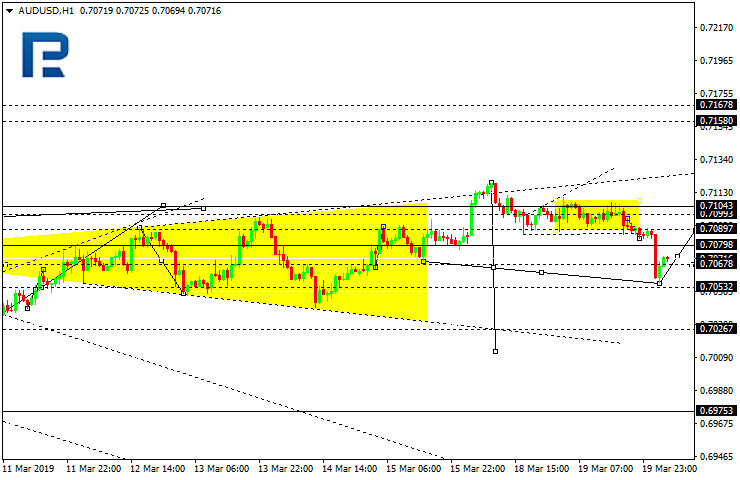 Currently, the pair is correcting around 0.7089, which may be followed with a fall to 0.7040. The Russian currency is consolidating below 64.62. 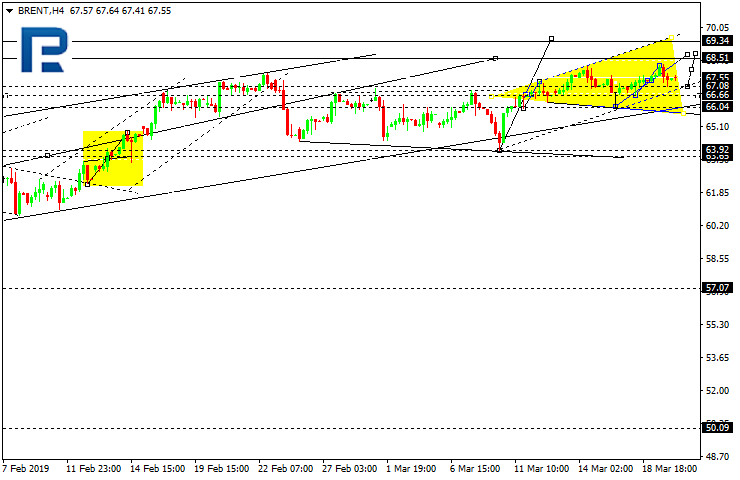 The price may then either go up towards 64.84, or continue the trend by falling to 63.71. 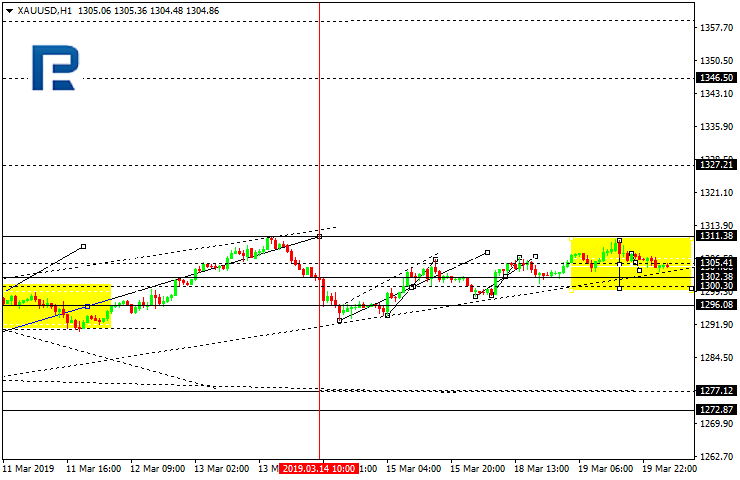 The gold bounced off $1310.30 and has nearly formed a double top. Today, it may probably be heading down towards $1300.30, and then, once a breakout occurs, hit $1296.08, which is going to be the first target. The Brent crude is above $67.38 and may reach $68.50 today. The price may then start correcting to $63.95.which is going to be the first target.